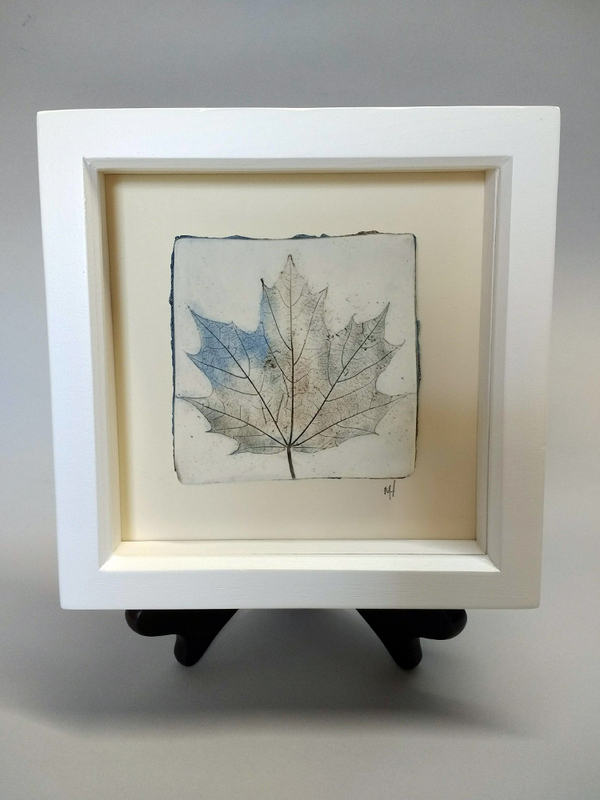 The Leaf Imprints range features delicate tiles, handmade from fine porcelain clay, each imprinted from a carefully selected leaf or group of leaves. 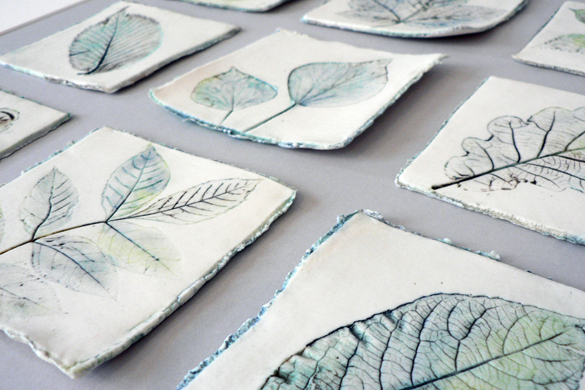 After the initial firing, oxides are handpainted/washed over the tile to reveal the fine network of veins. A final firing of 1250C fuses and develops the colour of the oxides, creating a subtle, natural finish to each tile. 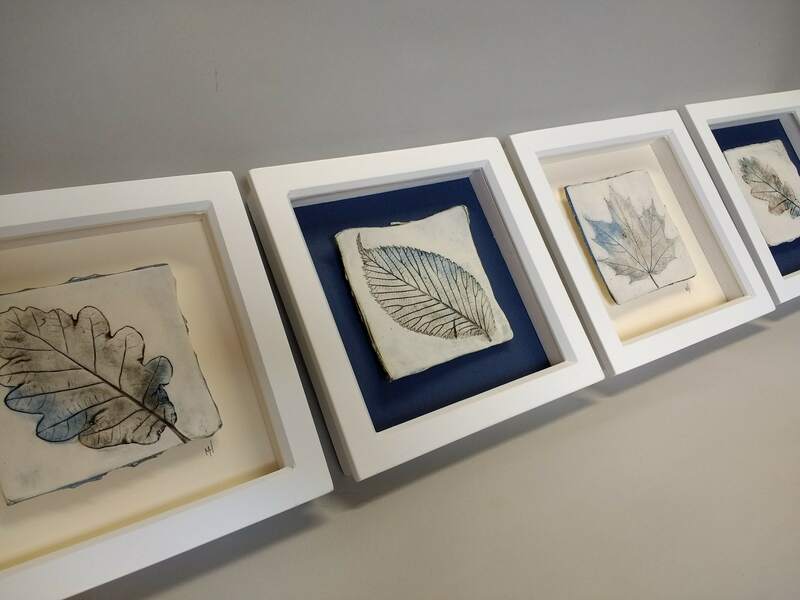 Leaf tiles can be framed up as small single leaves in a 6″ box frame up to multiples of leaves in classic oak frames to suit many interiors. 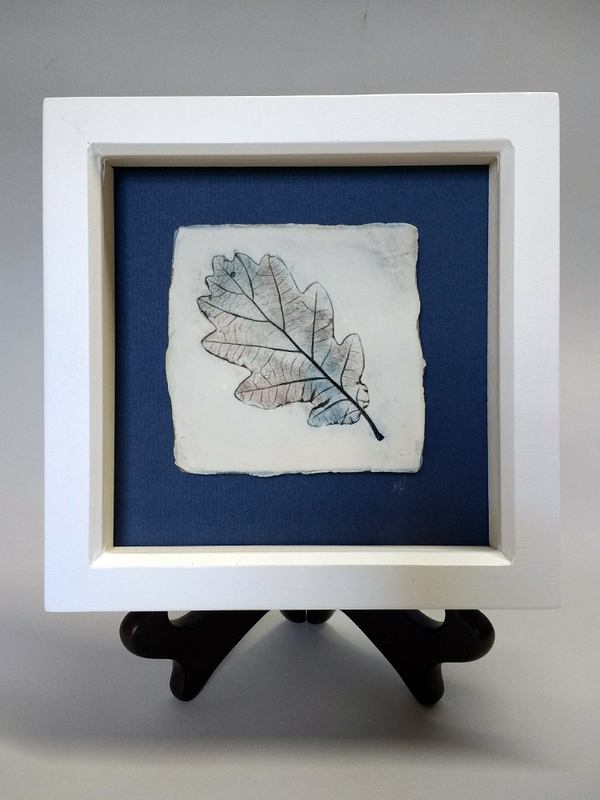 Usually available direct from my studio at The Hearth Arts Centre or from Robinson-Gay Art Gallery, Hexham.